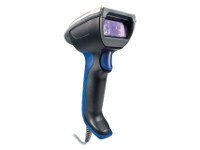 The Granit™ 1981i wireless industrial-grade scanner features full range area-imaging technology capable of reading both 1D and 2D barcodes across a wide range of distances. 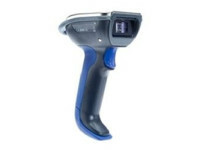 From poor-quality 2 mil codes scanned at close range to 100 mil codes hanging from warehouse rafters scanned at ranges of 52 feet (16m), the Granit 1981i scanner is built to perform. 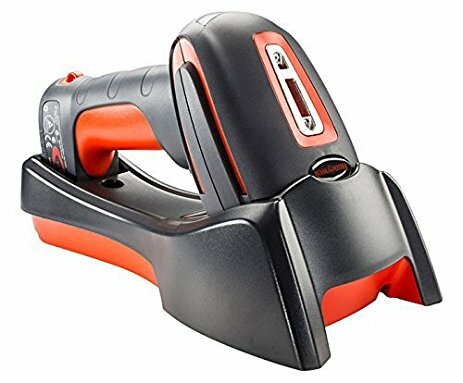 With an unmatched range and wireless freedom providing incredible versatility, the Granit 1981i scanner enables maximum operator productivity in the harshest environments. 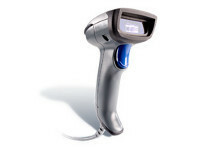 The Granit 1981i scanner is packed with technologies that make it simple to use. 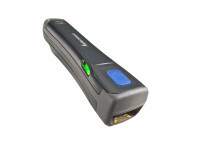 An integrated laser pointer aiming system with auto-illumination, omnidirectional reading capability and support for centering take the guesswork out of scanning at extended ranges. Operators of fork trucks equipped with vehicle-mounted mobile computers, such as the Honeywell Thor™ series, will appreciate how the full-range scanning capability of the Granit 1981i scanner allows them to remain seated – and hence more productive – while scanning pallets at extended ranges. And with Bluetooth® technology, complete freedom of movement up to 100 m (330 ft) away provides additional operator convenience. As a member of the Granit family of scanners, the Granit 1981i scanner is built to withstand the varied demands of harsh working environments. Incorporating the Granit housing that has long set the standard for scanner reliability, the Granit 1981i scanner is rated IP65 and is built to survive 5,000 tumbles from 1 m (3.3 ft) and 50 drops to concrete from 2 m (6.5 ft) – even in temperatures as low as -20°C (-4°F). As a result, operations that deploy Granit scanners can expect to experience minimal device downtime and a lower overall cost of ownership.